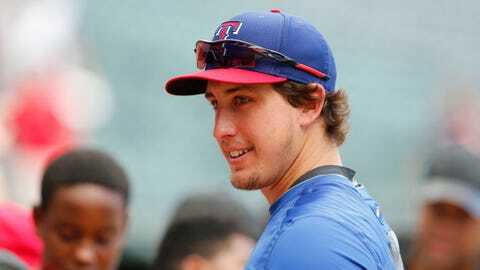 Derek Holland has the same goals just about every big-league pitcher has. The Texas left-hander would like to be part of a World Series winner. He’d also like to win a Cy Young Award. "I’d like to win the Marvin Miller Man of the Year award," Holland said. That honor goes to a player for their play as well as their contributions to the community. As busy as Holland is trying to help others, the 28-year-old has the community part down. Holland, whose 2014 season was cut to five starts by his infamous run-in with his dog Wrigley in January, has spent as much time supporting others as he has in getting ready for the 2015 season. In the last three months Holland has done what he can to help the family of Briggs Berry, the high school student who Holland befriended before he died of a rare immune disorder. He’s gone on a pair of dates that raised more than $8,000 for the Richard Durrett Family Fund. He’s golfed with Wounded Warriors. He’s shown up at an Ethos Education Group event. He was elected to the board of directors to the Texas Rangers Foundation and is doing a money-matching campaign for the club. If that wasn’t enough he’s also working on starting his own organization — the 60Feet6 Foundation — to help children fighting leukemia. All of that keeps Holland busy but he’d rather help whoever he can than say no because of his core values. 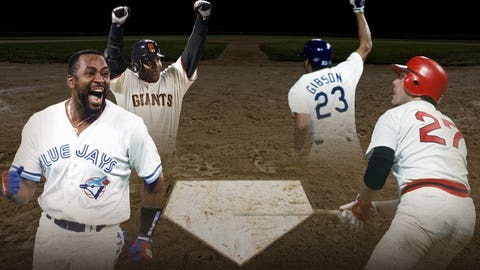 Ranking the 11 greatest home runs in baseball history. "I’m part of this community and I want to do as much as I can to help in my community," Holland said. "That’s really what it comes down to. I just want to do what I can to help people that need it." There have been several factors in Holland’s decision to try and help where he can. It started with his parents, who instilled those beliefs in him. It continued with the Rangers as he came up in the majors and watched how Michael Young (a Marvin Miller Award winner) and Ian Kinsler helped in the community. When he saw the number of children in the hospital during his visits with Berry he decided he needed to start his own foundation. While his commitments to help have spread him thin as far as time, they haven’t slowed him down. "Derek has always been passionate about giving back to the community," said Taunee Taylor, the Rangers assistant vice president of player relations. "He has a big heart for children and families going through tough times in their lives and strives to brighten their days with contributions to local children’s hospitals or bringing kids to the game for a fun experience. Derek is dedicated to helping others." The Berry family is the prime example. Berry was Holland’s inspiration in getting back on the mound this season. When Holland made his 2014 debut in September, he did so with Briggs’ name on his shoes and his name written in the dirt behind the mound. Seeing Holland return to the game perked Berry up in his battle with X-Linked Hyper IGM Syndrome. Berry lost his fight with the disease in September but Holland’s relationship with the family remains strong. The family has the shoes that Holland pitched in. A Holland jersey hangs in their game room and Holland had them at a game in September where he and his family visited with them. "It’s amazing," said Berry’s father Everett. "He was really there for us during some tough times. He really came through to support our family and our son during some hard times. It was a very good blessing to us. He was friends with Briggs before Briggs ever when into the hospital. He’s just a great guy." 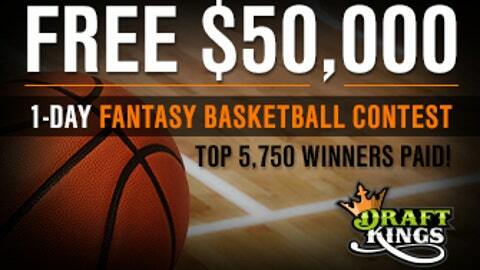 • FREE entry into $30K fantasy basketball contest! • FREE $500 1-Day Fantasy Hockey Contest! Holland’s original plan for a foundation was to help children afflicted by the same syndrome that claimed Briggs Berry. But because it is so rare he wanted to change the scope of the foundation to try and help more children. The 60Feet6 Foundation isn’t finalized yet. Holland is getting help running it from his brother Greg Holland and his agent Mike Martini. The plan now is for the first event to be a bowling fundraiser in late January. "After going to the hospital and seeing all those kids and how they are, it made me realize how lucky and blessed I am," Holland said. "I just want to give them the attention they deserve and to know that not only is their family on their corner but also that I’m on their side and the Rangers are on their side. It’s not about me, but representing the Texas Rangers. I want to make sure I’m doing everything to know there’s support behind them other than their family." While Holland is known to many as much for his goofy off-field antics a well as his play, he’s also one of the most-tenured Rangers in the clubhouse now. He’s taken on more of a leadership role there too, trying to lead by example the way players like Young did for him. He wants that to extend beyond the playing field as well. "Those guys were so good in the community and that’s something I wanted to be able to do," he said. "I wanted to fill that hole and show the guys behind me the way to do things as well. I just want to do whatever I can." Doing what he can doesn’t seem to be an issue.